Each conversation a debt collector has can be unique. How the call plays out usually depends on the personality of the consumer on the other end. To resolve accounts effectively, collectors need to approach each call with an open mind. Practicing conversational intelligence can help a collector navigate each call to reach a more positive outcome. Download this guide detailing how collectors can show empathy, know their limits when speaking to the consumer and what perspective they should have in mind on every call. Information in this guide is based on a presentation given at the Collector Live conference by Leslie Bender, Chief Strategy Officer and General Counsel at BCA Financial Services. 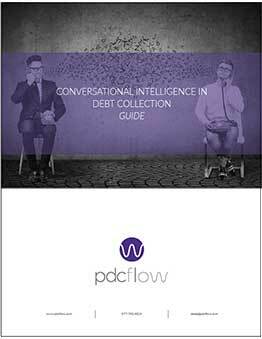 To view the full article based on Bender’s presentation, please see this blog article: Conversational Intelligence in Debt Collection.